Following excellent reviews and the successful launch of its vegan ‘chicken-free chicken’ products in New Zealand earlier this year, Sunfed Meats has announced its expanding production, with cow-free beef and pig-free bacon also on their way in 2018. 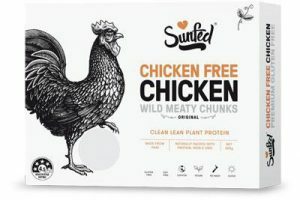 Judging by comments on social media, vegans and staunch meat-eaters in New Zealand seem to love the taste of Sunfed Meats, but it appears the company has ruffled a few feathers in the local poultry industry. The Poultry Industry Association New Zealand (PIANZ) is laying a complaint with the Commerce Commission, claiming Sunfed’s labelling could be misleading for consumers. The complaint from PIANZ refers specifically to the product using the word ‘meat’ as part of its label and the image of a rooster on the package. Sunfed Meats products are soy free, gluten free, preservative free and GMO free – and they keep flying off the shelves at supermarkets. 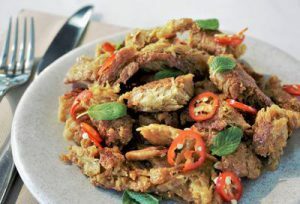 Founder and Chief Executive Shama Sukul Lee has recently launched a campaign to raise capital in order to meet the growing demand for ‘Chicken Free Chicken’, with much interest coming from overseas.